PIERRE, S.D. 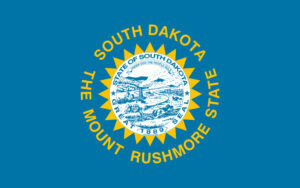 – On November 1, South Dakota begins applying sales taxes to purchases of goods and services from businesses that don’t have a physical presence within the state’s borders. Gov. Dennis Daugaard’s budget chief doesn’t know what to expect. “There are so many unknowns,” Liza Clark said. She is state commissioner of finance and management. The U.S. Supreme Court said in June state governments could begin charging sales taxes on remote sellers. Clark said neither she nor her staff knows how many businesses will be affected. South Dakota legislators crafted the state laws so businesses have to remit sales taxes if they have more than $100,000 of gross revenue in a year or they conduct at least 200 separate transactions. This entry was posted in South Dakota and tagged remote seller, sales tax, South Dakota, State v. Wayfair Inc. 2017 S.D. 56 (2017), use tax by ZASALT. Bookmark the permalink.